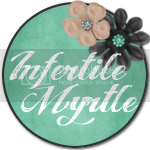 The Infertility Overachievers: ET UPDATE!! I some how managed to talk Dr P into transfering 3 embies this morning. We transfered 3 8 cell grade 1A little ones. I thought for sure he was going to do 2 good ones and a slacker 4 cell, but nope he decided to do the 3 perfect 8 cells. I am sooooooooo excited. The embryologist helped me talk him into it, I'm tall (5'10") so they decided together that I could handle 3 even if all of them took. I also mentioned that we were OK with reduction if any of them split and we ended up with more then 3 (which I have to say, I'm not sure we are ok with it, but it really helped my argument.) The only thing that sucked is that when we got there, they told us that we needed assisted hatching. The "shell" (I cant remember the proper name for it) was really thick on our embies so they needed a little help breaking out. That cost an extra $750 but in the scheme of things thats not really all that much. Dr P gave us a 25% chance of trips, 50% of twins, and 75-80% of a singleton. UGH, Let the TWW begin!! Everything went well, Dr P is AWESOME and so is everyone at his office and Carolina IVF. This has been a totally positive experience for us. Yay! I hope everything goes well! I'll be thinking of you and Mike! Let's go babies! Wow, how exciting to follow the progress. Thanks for sending me the link! I can only imagine how emotional this is - if you're in Fville for a while, maybe we can get together in person! Ooooh Allison you crack me up. I can just see you in the doctors office pleading for 3 embies rather then two...it is a great site and it makes me smile/giggle! Could you imagine if you had more then two babies??? One is a lot, two is even more, wow I can't think of more! But I know whatever comes yours and Mikes way you'll both handle it great and everything is going to be perfect, I am praying hard and keeping ALL fingers crossed! I'm cheering those little embies on with all my heart "Stick little guys, stick! Grow little guys GROW!" 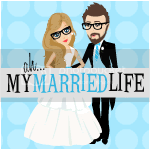 Watch you and Mike will end up being the next "Jon and Kate Plus 8" lol!